Check Back for more items for sale and prices! Old Tech - Books & Things lists books for sale, primarily on early science and technology, on the AbeBooks website. Specialties include early radio, wireless, television, computers, calculators, related juvenile books and early skiing. 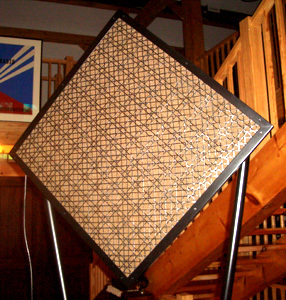 Replica of the original Theremin speaker on a stand, with the diamond-shaped baffle. 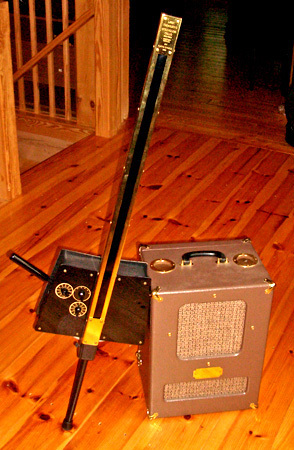 Theremin cello and speaker offered separately or together. 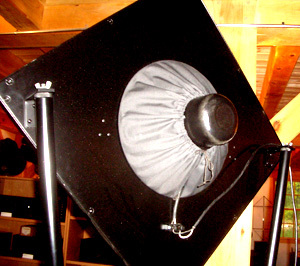 Rear view showing the speaker itself. 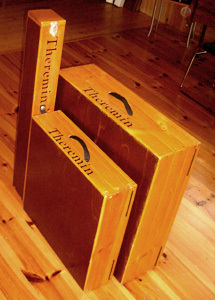 Wooden carrying cases for speaker components. 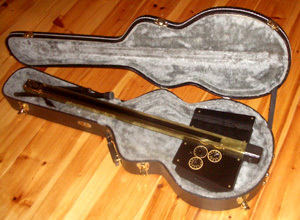 Theremin cello in carrying case. Theremin cello electronics cabinet with cover removed. 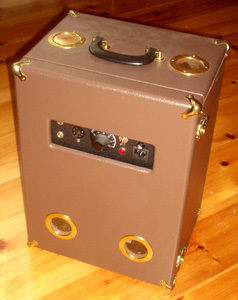 Theremin cello electronics cabinet. 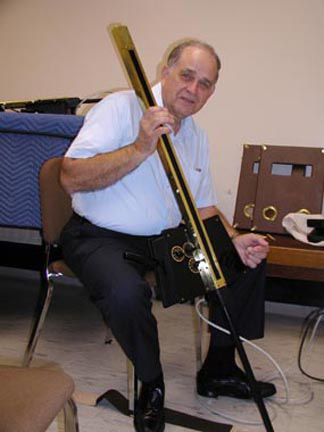 Floyd Engles holding a replica Theremin Cello. Floyd made about a dozen replicas and the one offered by Old Tech is the only one I know that is for sale. 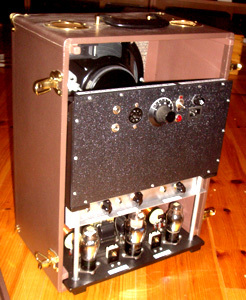 Sodion DR-6 receiver with one amplifier. 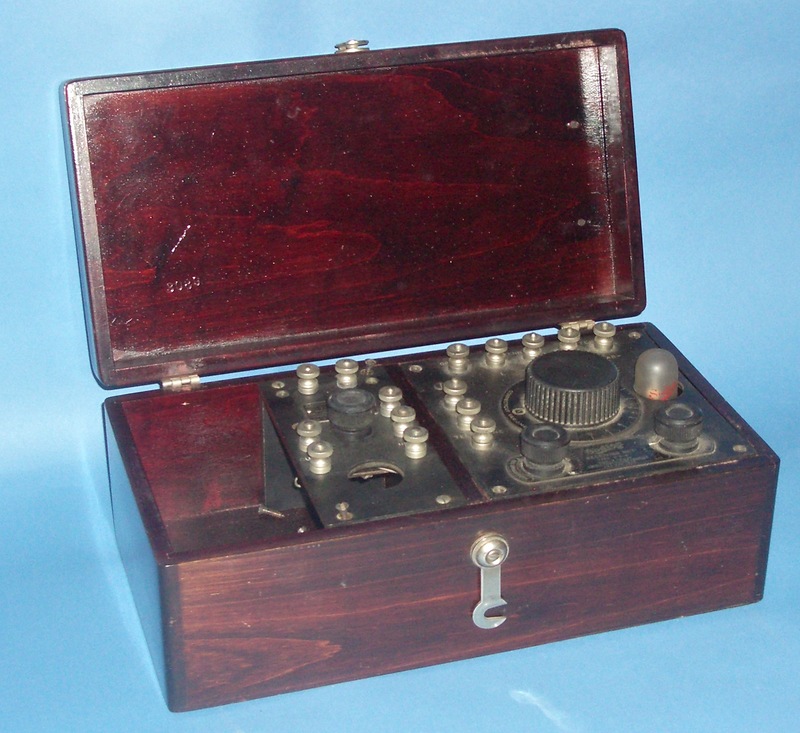 Condition is very good, although the amplifier is restored from original parts.